It is Saturday evening. My husband and I are sitting near each other working on our computers while listening to one of our favorite music stations. If you’d like to listen with us, click here. It is the evening before we go to church to worship God with our local family of believers. Sundays are unique from every other day . . . a day set aside to focus on God. It’s not that we don’t worship every day at home. We can worship God while we have our Bible quiet time, while we’re sitting down to a meal, in the shower, sipping tea, kissing boo boos, baking cookies, pulling weeds in the garden, etc. God isn’t particular about where we worship Him, as long as we worship Him in spirit and in truth. But, there is something particularly special about worshipping God as a church body. Together. And for this special event, we like to prepare. 1. Pray for your pastor and his wife. A friend on Facebook always posts a nifty reminder like the one pictured below on Saturday evenings, reminding us to pray. It is great for many reasons to teach our children to pray for their pastor. 2. Reserve the evening to be at home. We’ve found if we plan too much on Saturday evenings we are exhausted and not in very good shape for Sunday. Of course Saturday activities cannot always be avoided, but because of the substantial benefits we make this a priority in our household. 3. Lay out clothes and begin food preparation. Is it just me, or does it seem like Satan is working overtime on Sunday mornings? It is upsetting to the whole family to scurry around hairy-scary at the last minute looking for that missing shoe! We are trying to get in the habit of laying out our clothes and shoes the night before, along with having breakfast and lunch preparations well on their way. Have you ever read about the lengths Jews go to to prepare for Sabbath? It’s phenomenal. 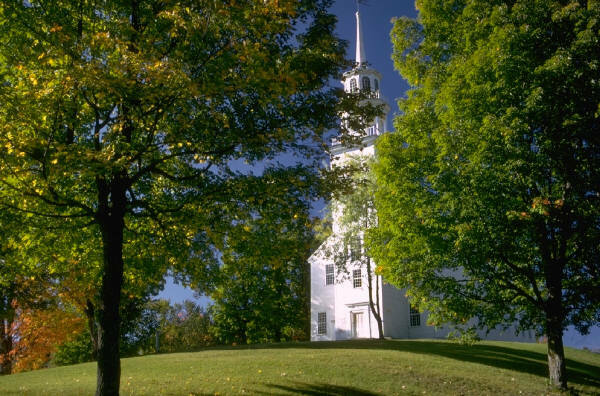 Sunday is the day we celebrate Christ’s resurrection on our behalf – it seems like a day worthy of respectful preparations. I’ve found that Sundays are much more peaceful if I prepare to be undistracted by things that could be taken care of on Saturday. 4. Listen to worshipful music. Like the link I shared above, there is nothing besides Scripture and prayer that prepares my heart for worship like worshipful music. This can also set a wonderful Christ-centered atmosphere on Sunday morning while the family gets ready to go to church. 5. Read Scripture passage before the sermon tomorrow. We get our bulletin via email around Thursday or Friday every week, so we know what Pastor will be speaking on the following Sunday. It helps me if I prayerfully read through the passage before he preaches. God’s Spirit has more time to work in my heart, making it more likely that I will apply the Word to my life come Monday morning. 6. Watch a worshipful video/DVD. My favorite, for Saturday and any day of the week, is In His Presence: A celebration of the peace, love and promises of God in word and song (Moody Video). 7. Ask God to clear your mind and heart. Confessing sin and asking God to clear your mind of sinful thoughts or attitudes is essential for worshipping God. This could be likened to preparing soil in your garden for seeds and growth. Check out this link to read verses that address this very need. 8. Pray for the persecuted church. At times I find myself taking my church for granted, or obsessing about inconsequential irritations (there is no perfect church). One sure cure for this is to remember my sisters and brothers around the world that face persecution and are not allowed to openly attend worship services. We are so very blessed – let us thank God and cherish the privilege of meeting to worship and grow in God together. Do you have any other ideas that you use in your family or personal habits that you can share with us? I would love to hear about them – please leave a comment below! Praying for you dear sisters as you prepare to worship with your church family tomorrow. 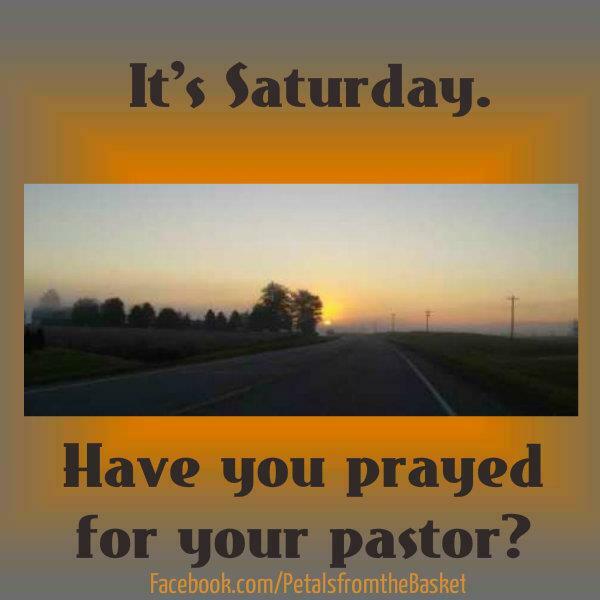 Special thanks to Brenda for sharing the pray-for-Pastor picture!